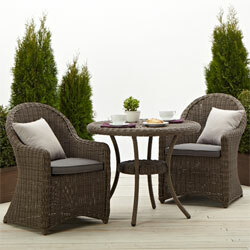 Classic outdoor bistro-style table comfortably accommodates two people. View larger. 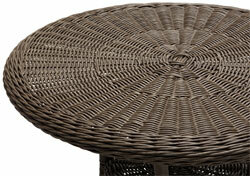 Woven round resin wicker in gray to capture the true patina of wicker. View larger. Flat woven tabletop surface. View larger. 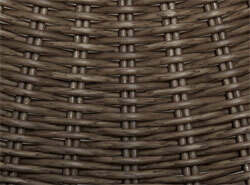 Handsome wicker furniture from the Hayden collection (pieces sold separately). View larger. 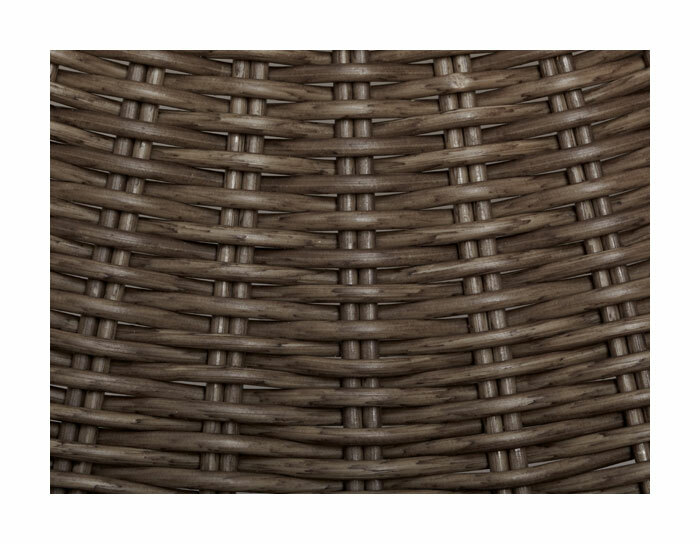 The Strathwood Hayden collection features handsome wicker furniture with superb weather resistance and maintenance-free care, making it ideal for outdoor use. 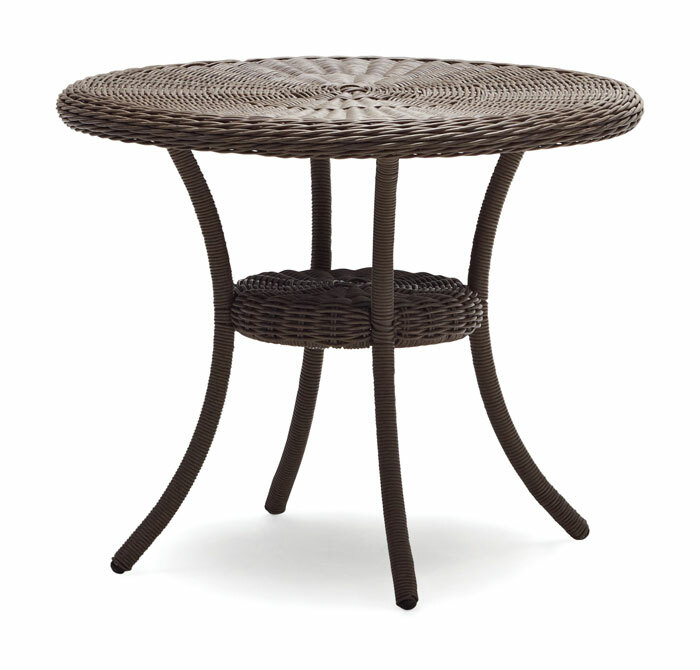 As part of the Hayden collection, this round classic-style bistro table adds both convenience and style to any outdoor sitting area. 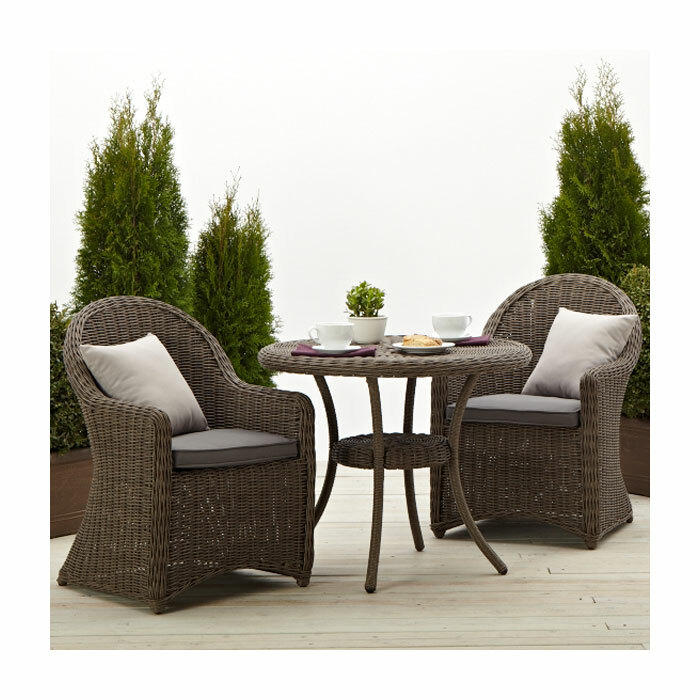 Whether placed in the garden, on a front porch, or backyard patio, the wicker table comfortably accommodates two people and adds welcoming charm to leisurely breakfasts, coffee with a friend, or al fresco-style dining on a warm summer evening. 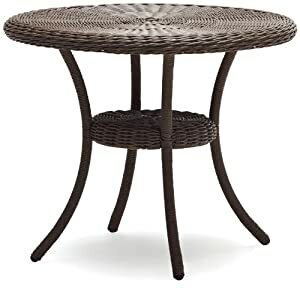 The cafe-style table provides a round, flat surface, a disc-shaped middle stabilizing section, and four legs that gently flare outwards for stability and eye-catching good looks. 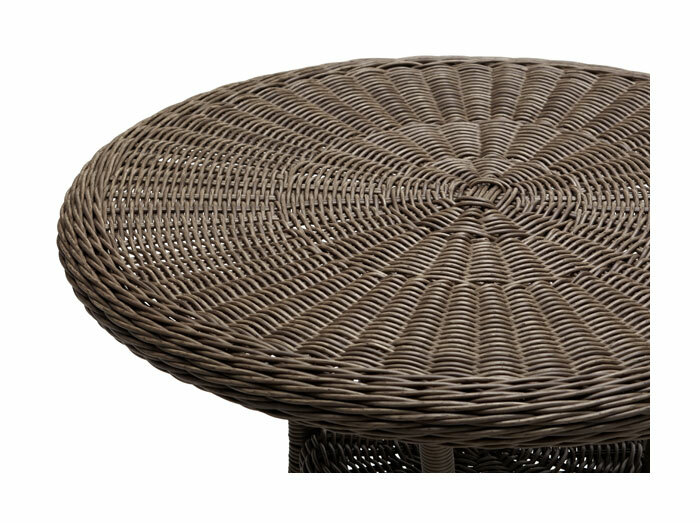 Thoughtfully crafted, the table features woven round weather-resistant resin wicker in gray, which captures the true patina of wicker, and an aluminum frame with a powder-coat finish for enhanced durability. Adding two matching Hayden chairs (sold separately) makes for an ideal sitting area. Overall, the round-shaped bistro table measures 35 inches in diameter by 29 inches tall and weighs 15 pounds. Some assembly is required. Care and Cleaning: The table should be brought indoors or securely covered during inclement weather and stored in a dry place when not in use.